Holidays to Cancun, on Mexico's Yucatan Peninsula cater for your every need. Accommodation is superb, beaches are pristine and lapped by the clearest of waters, nightlife is exciting and the people are warm and friendly. 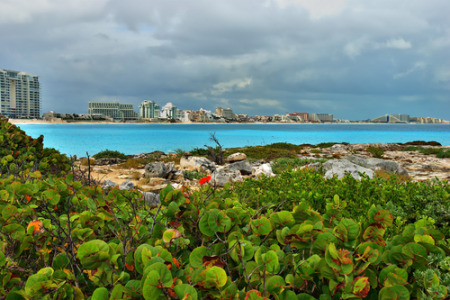 Our range of cheap Cancun holidays makes this wonderful destination affordable. Holidays in Cancun can be as relaxing or as energetic as you wish with a multitude of water sports, golf and tennis, as well as excursions to some of the most amazing Mayan ruins in Mexico. If you want to snorkel on the Maya coral reef, second only to the Great Barrier Reef; swim with dolphins; get married on the beach; top up your tan on sun-bleached sand and bathe in tepid waters; we have low cost Cancun holidays for you. If you are looking for winter sun, check out our last minute Cancun holidays and you will surely find one to suit. Search now to view our latest Cancun holiday offers.